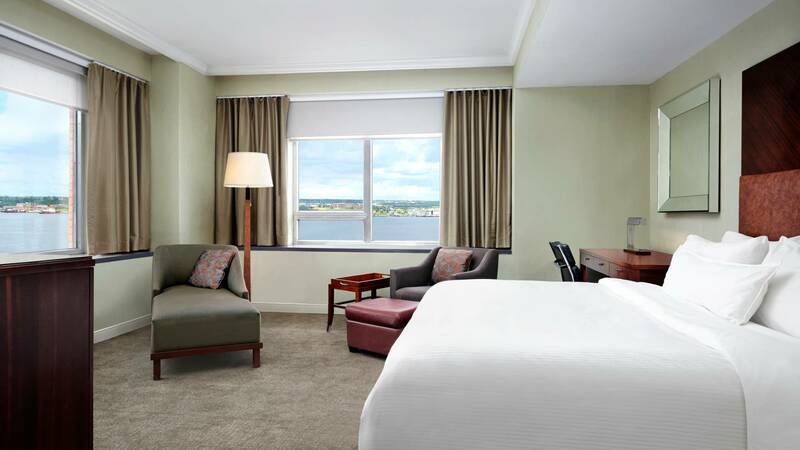 The Westin Nova Scotian is ideally situated near Halifax Harbour with guestrooms affording stunning views of either the Harbour or Cornwallis Park. 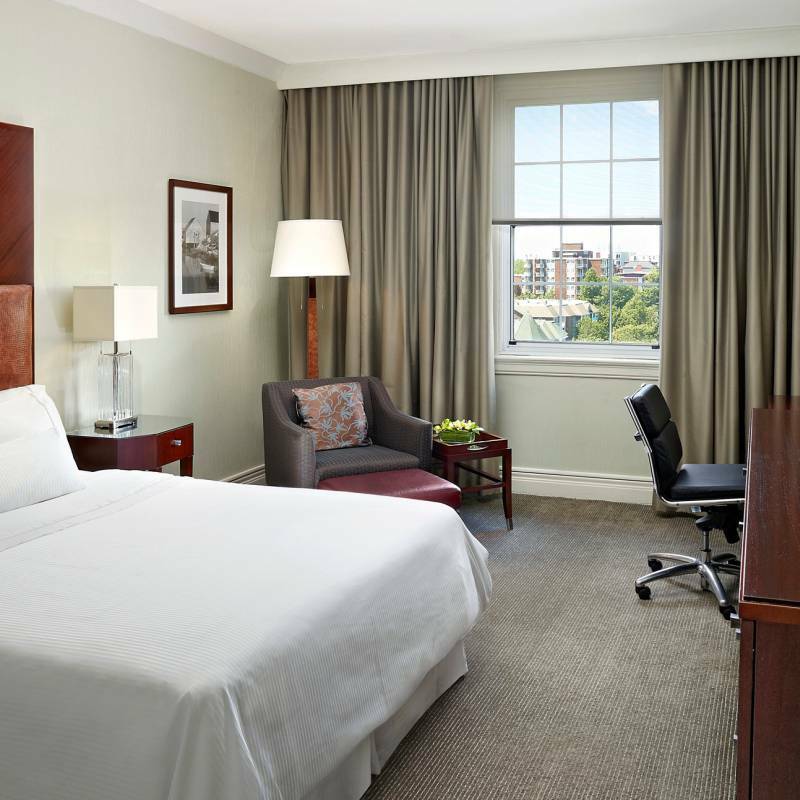 With 310 newly renovated guestrooms, the luxurious accommodations combine the warmth of Halifax’s historical surroundings with contemporary amenities, quality and service. 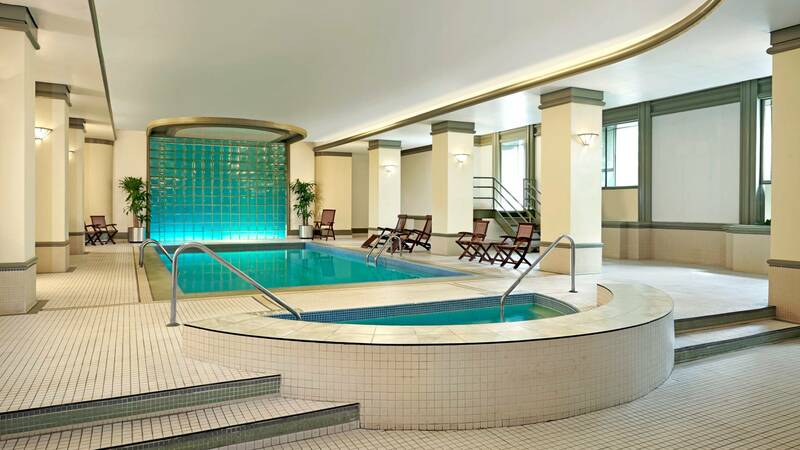 The hotel offers a retreat from the bustling city and provides guests with fine dining, a spa, fitness suite and even a comedy club! 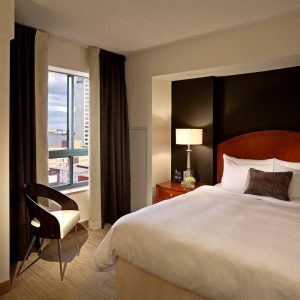 All rooms feature Westin’s signature Heavenly Bed®, en-suite bathrooms, 32″ LCD flat screen TV, video check out, daily local newspaper, complimentary in-room coffee, free WiFI. Traditional Room: Two double beds, a king bed, or a queen bed, refreshment centre. 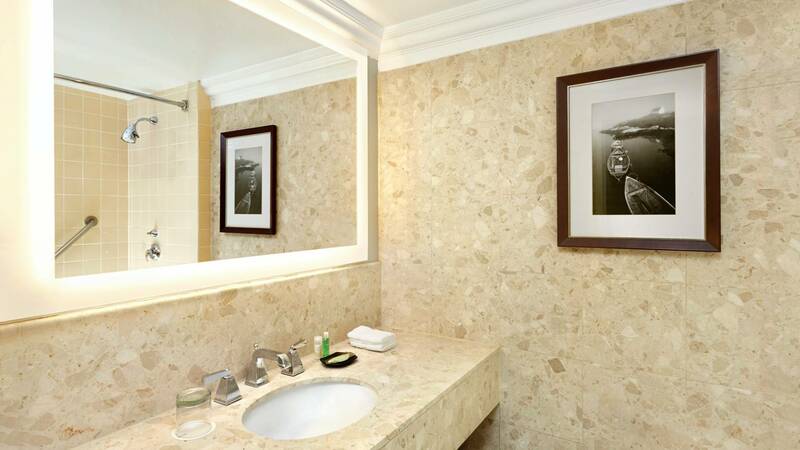 Premium Room: Expansive sea views, two double beds, a king bed, or a queen bed, complimentary daily bottle of water, refreshment centre. 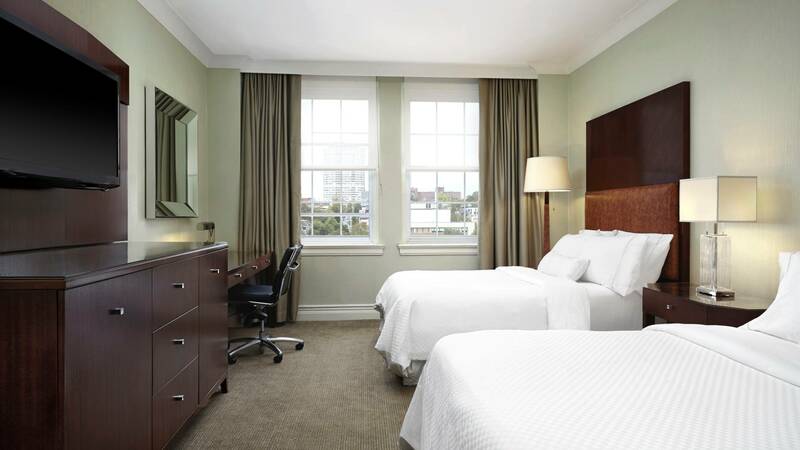 Studio Suite: Large guestroom suite with a balcony overlooking city. Additional seating area. Large restroom with walk in shower and Jacuzzi style tub. One Bedroom Suite: One upgraded guestroom with sitting parlour attached. Pullout sofa in parlour. Some have one or two restrooms. 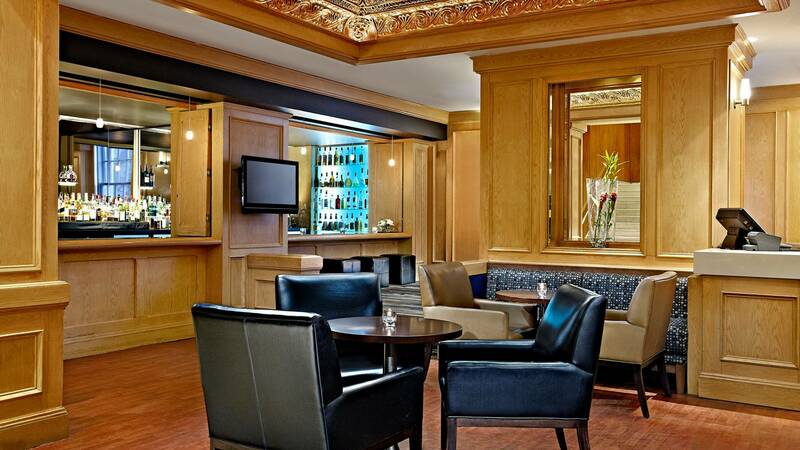 Please ask about the luxury of the Vice Regal and Royal Suites. 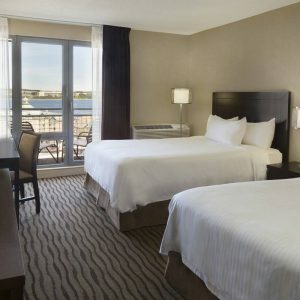 The luxurious Westin Nova Scotian is just minutes away from many popular Halifax attractions making it is easy to discover the rich culture and history of this maritime destination.